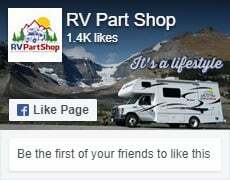 ROADMASTER is devoted to developing and manufacturing the highest-quality tow bars, tow bar brackets, supplemental braking systems and anti-sway bars available for RV use. ROADMASTER doesn?t outsource. Our products are designed, engineered and manufactured at our plant in Vancouver, Wash. with virtually every process done under the same roof. The reason for ?hands-on? manufacturing is simple: quality. ?Quality starts on the inside, and when you control the process, you control the quality,? as Edwards is fond of saying. To our way of thinking, ?quality first? is the reason more ROADMASTER towing products are on the road today than any other brand ? by nearly a two-to-one margin. Roadmaster is a highly respected brand used by owners of motorhomes for dinghy towing applications.